Fantastic skirt and bag! You always look so stylish and chic! Such an expensive look. Love it!! 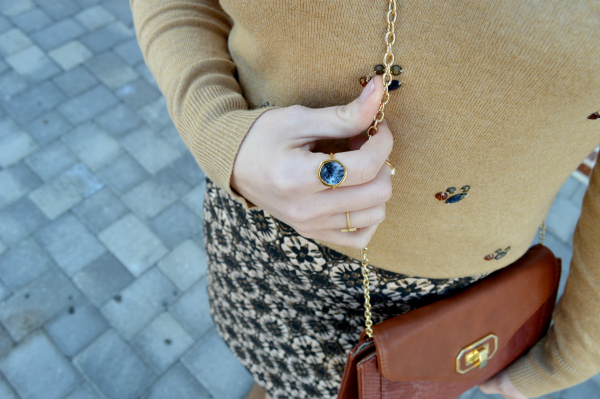 I love that sweater with your printed skirt! Great look, I love how you styled the skirt! Great look! Loving the embellished sweater!! Love that embellished sweater, so cute!! OMG, this skirt is amaaaazing. Kind of obsessed with this skirt. Love how you've styled it. I love this outfit! That skirt is SO cute! Love the embellishment on the sweater and it looks great paired with the intricate jacquard material. Love this! That is such a pretty combo! 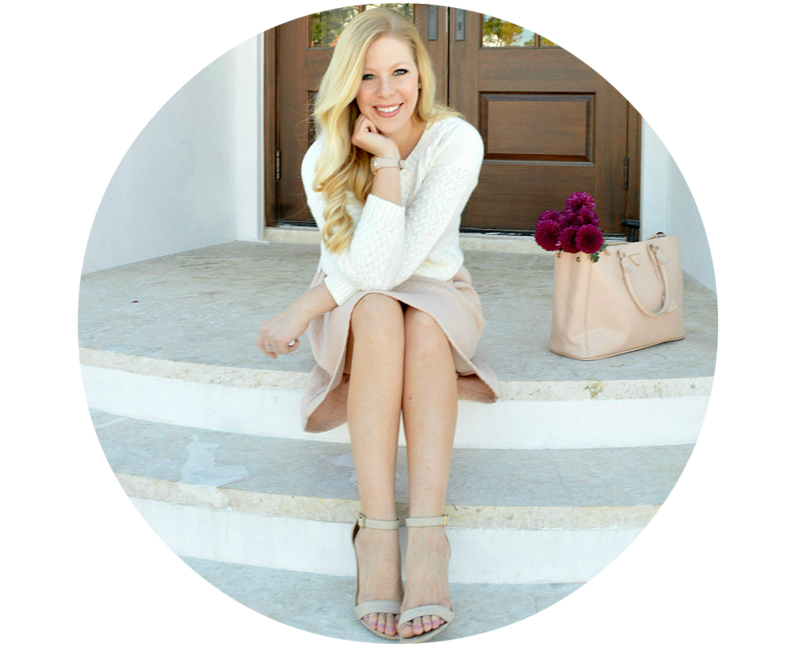 I have a jeweled sweatshirt on my blog today and I'm obsessed with them! That skirt is so fun too! Amazing skirt. I really love your hair too. I love the neutral colors! This would be a perfect outfit for me for a casual day at the office! Gorgeous skirt. You look fabulous! Oh wow, this might be my favourite look yet! I LOVE IT! The colours are just amazing, and that skirt paired with this sweater is perfection. Awesome outfit. Beautiful sweater! I'm so pumped that it's from Target! I love the embellished sweater! It adds a glam twist to a basic crew neck. This is such a pretty look! I love all the details!! 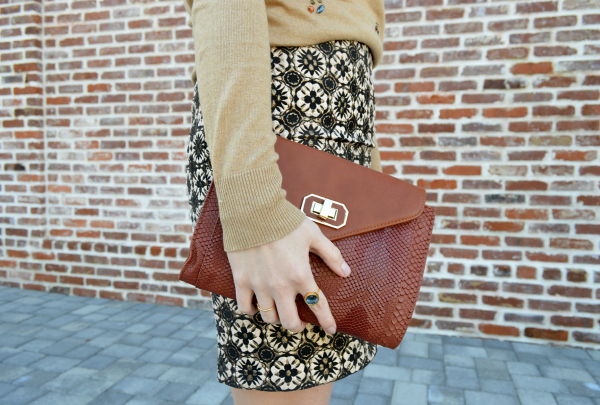 That jacquard skirt is sooo pretty! 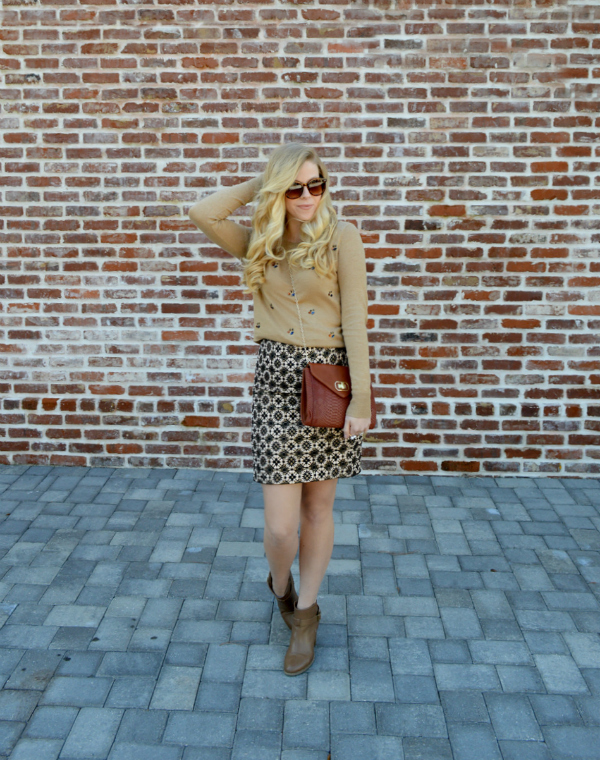 Loving how you paired it down with booties and a cross body bag. 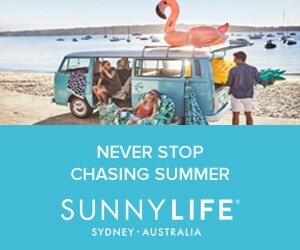 Keeps it youthful and fresh!! Gorgeous outfit! Love the print of that skirt! Love that sweater! It's such a great color on you. 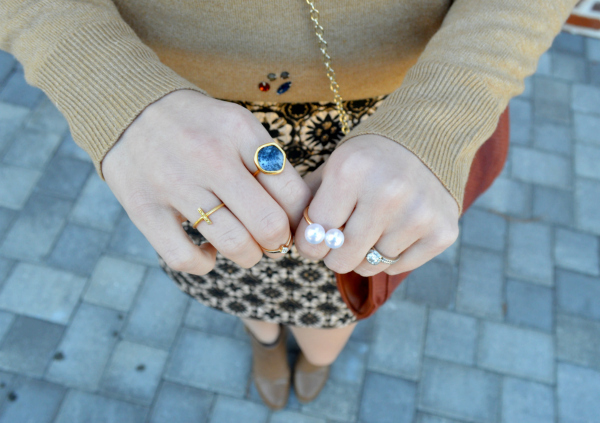 I like how you combined the sweater + skirt - while both could stand alone, they definitely pair well together! Loving this look and these colors! Admirable photographs you have done on public . Like your captured styles .